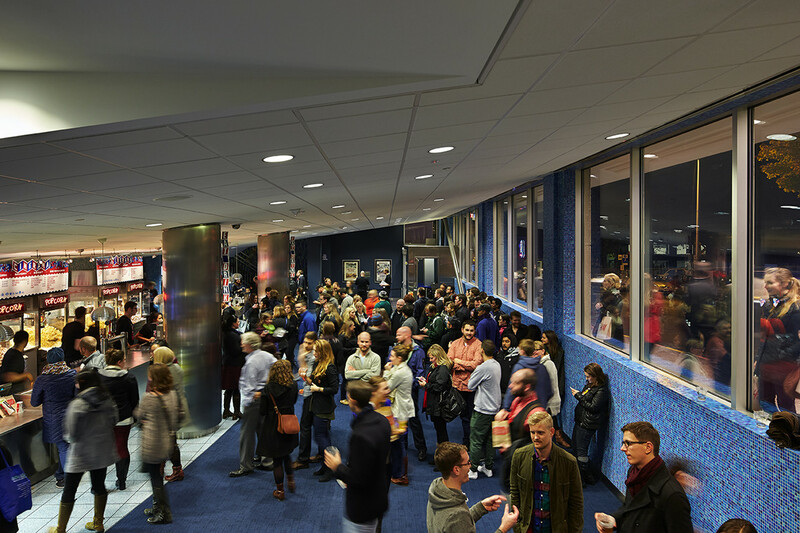 Opening night at Cinerama. 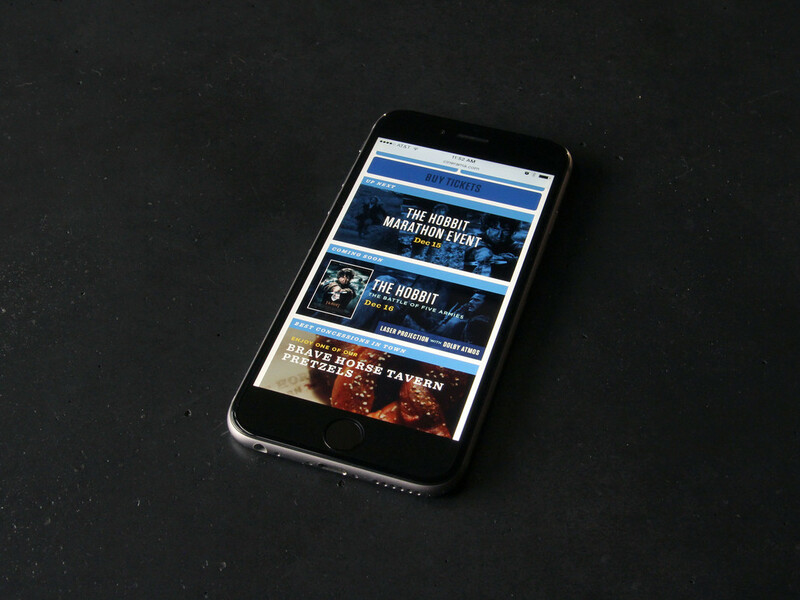 © Copyright 2014 Benjamin Benschneider All Rights Reserved. 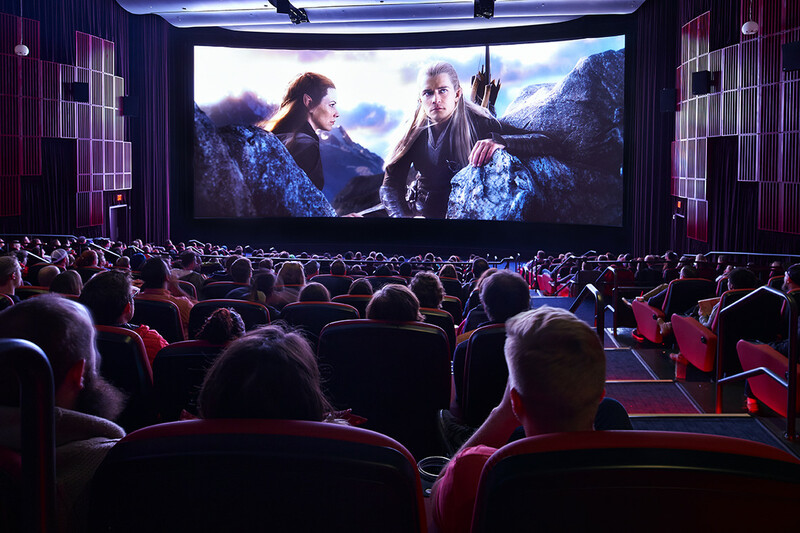 Seattle’s most epic movie experience just got even more epic. 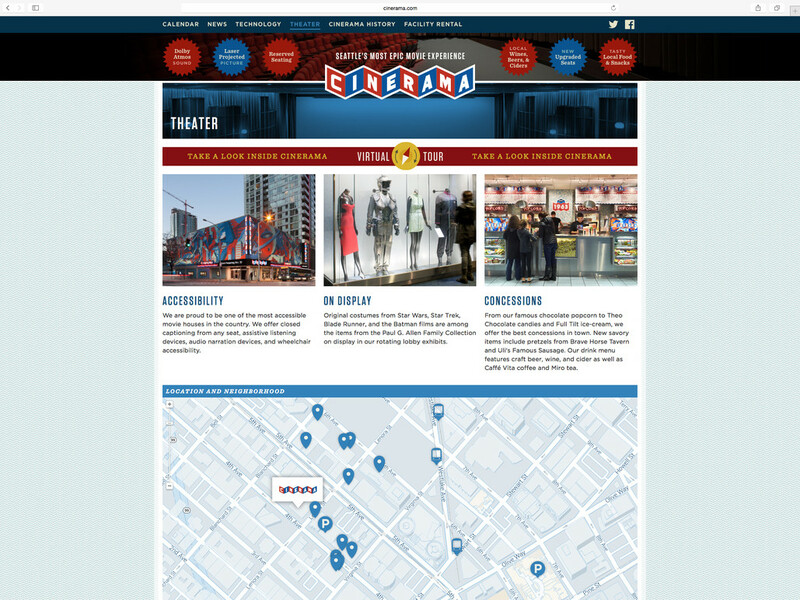 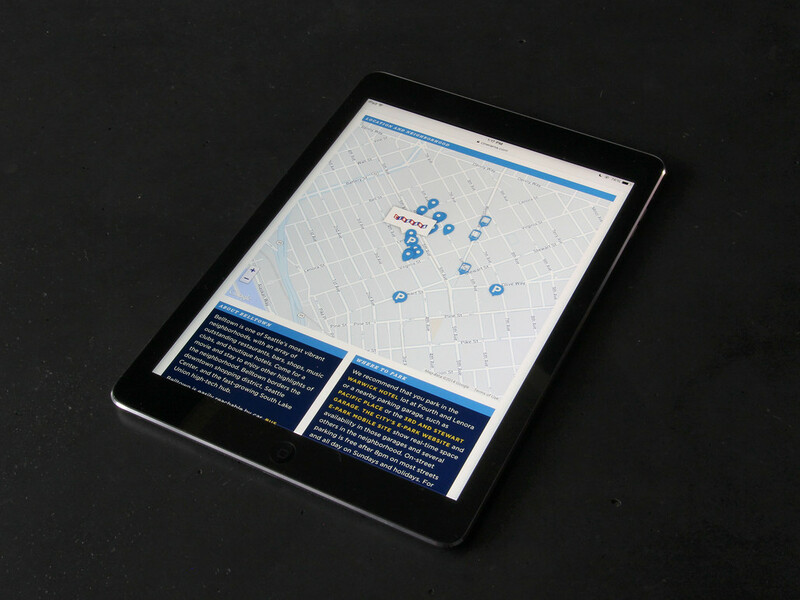 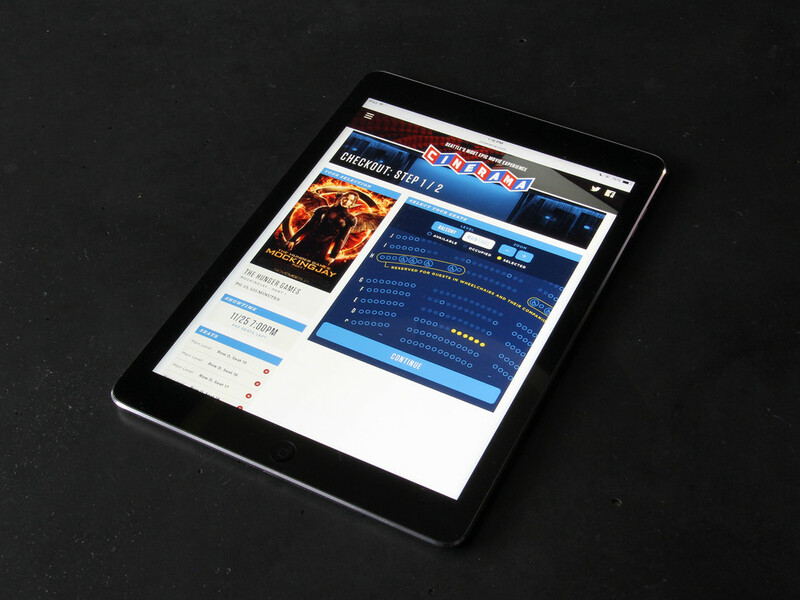 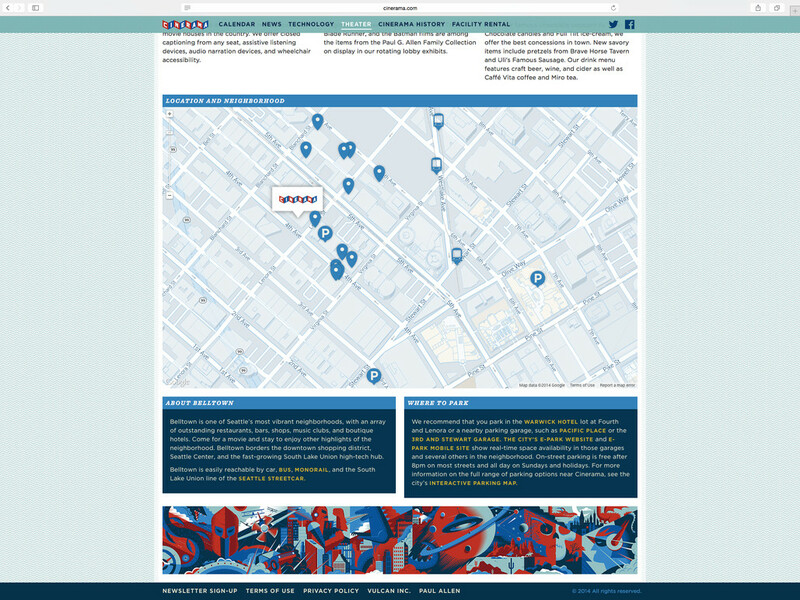 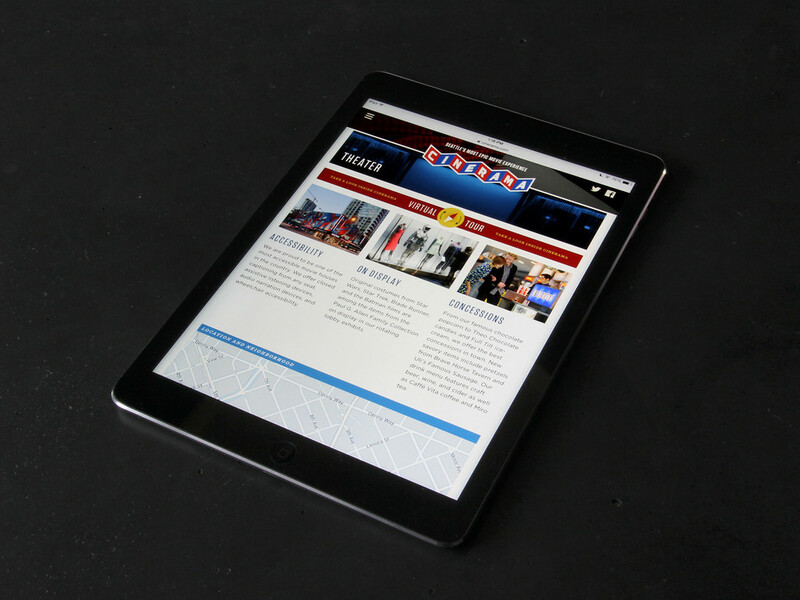 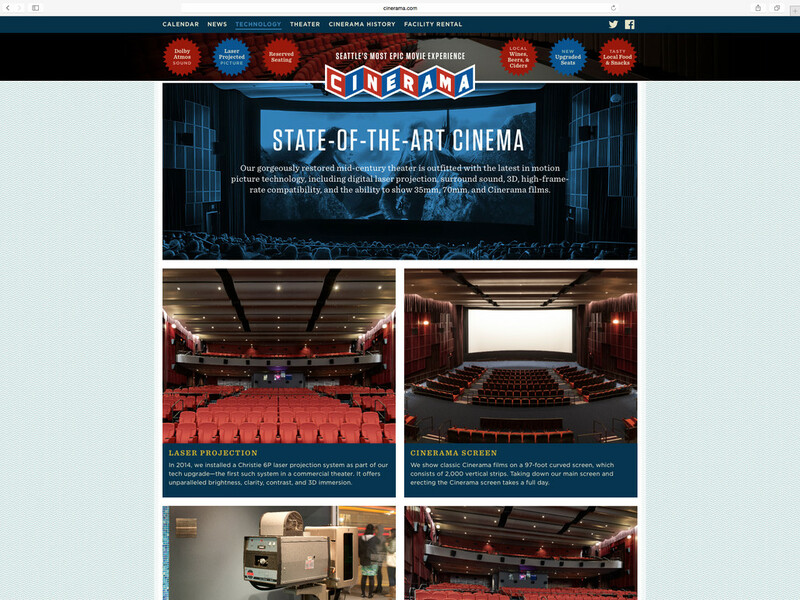 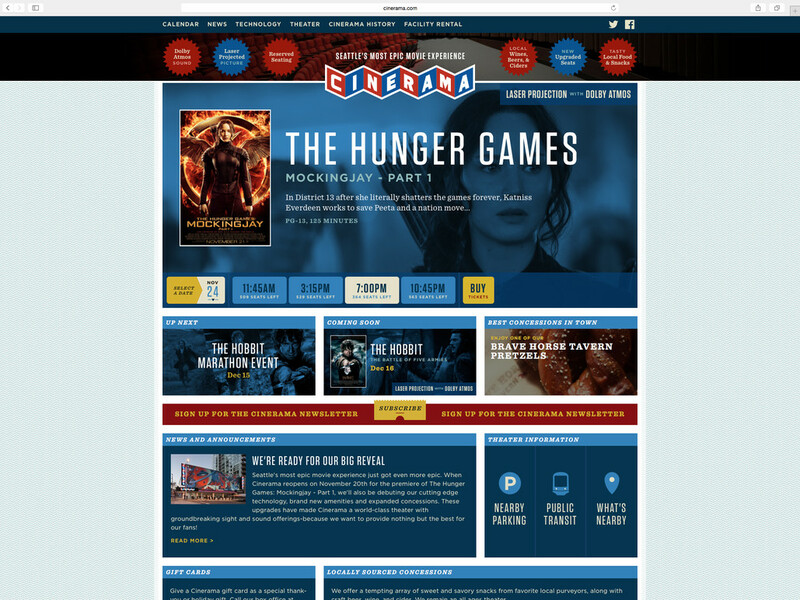 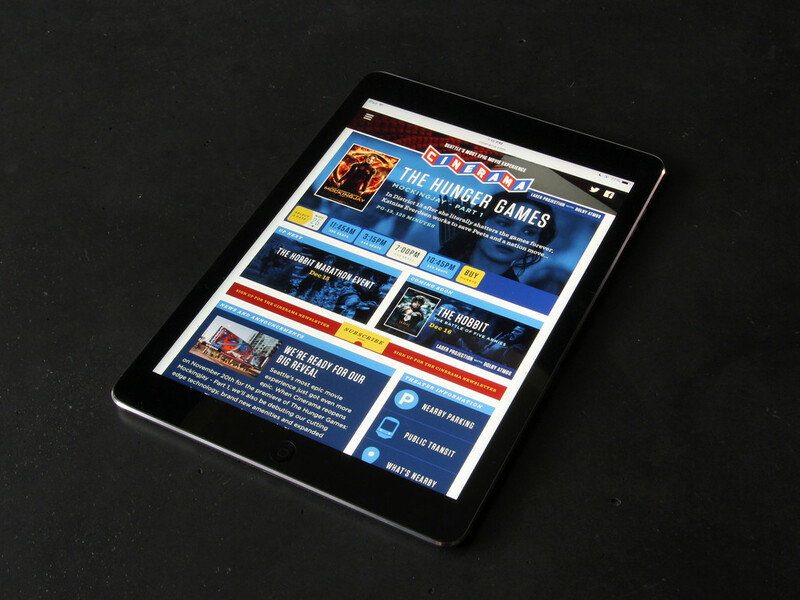 Belle and Wissell collaborated with Vulcan Real Estate to relaunch the online experience for Cinerama. 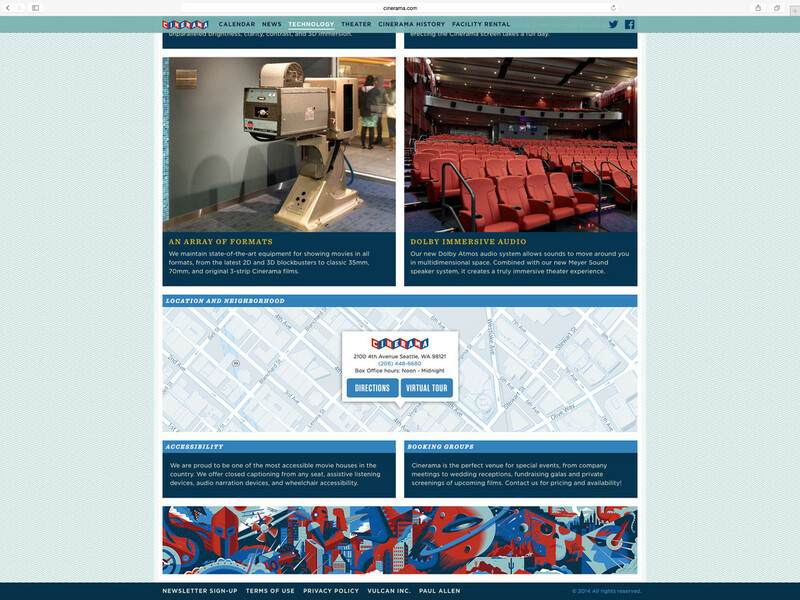 Timed to coincide with a massive renovation to the theater itself—which included state-of-the-art upgrades to projection, sound, amenities, and food—the website captures and distills an experience that is uniquely Cinerama, no matter what type of device it’s viewed on. 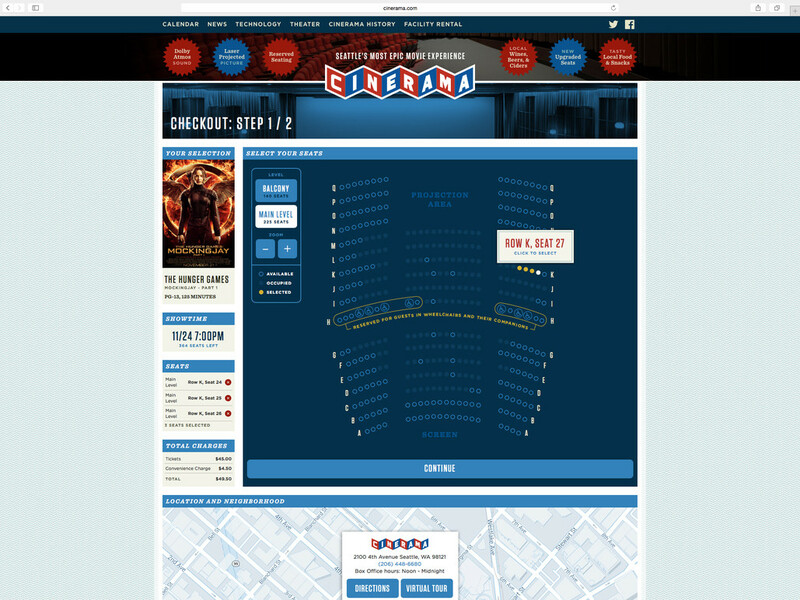 In addition to other significant upgrades, a key component of the experience is reserved seating. 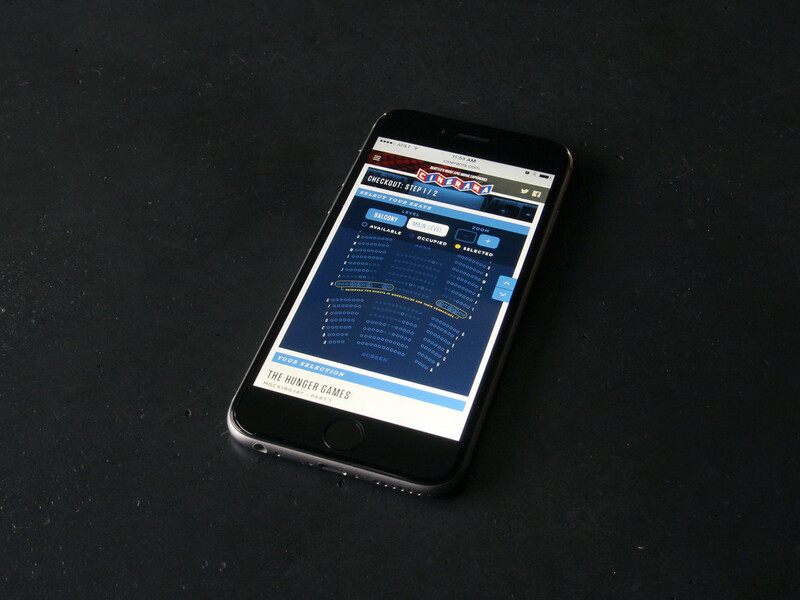 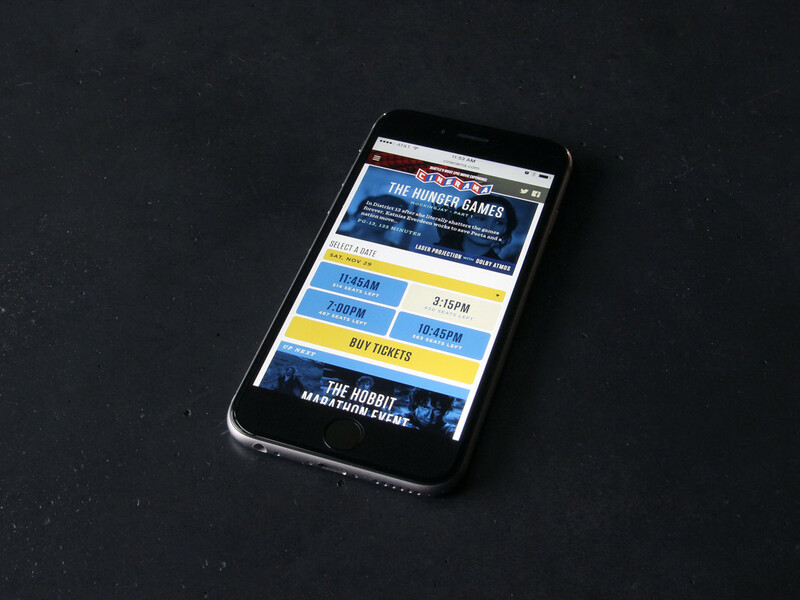 Because it’s built to be responsive, the site optimizes the experience for each device to ensure the ticket selection and purchasing process—along with the other components—is simple and elegant.